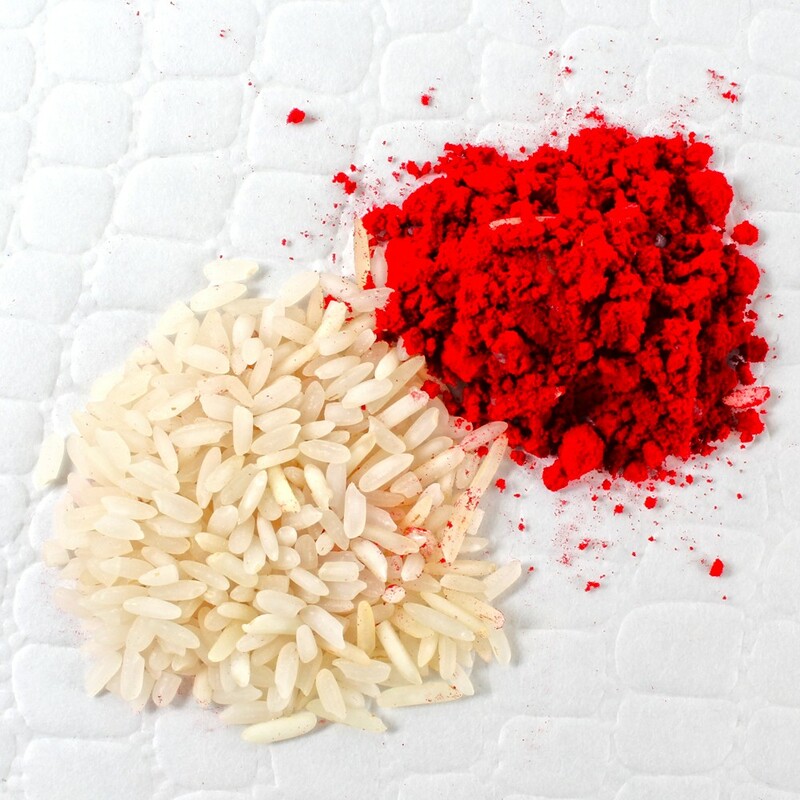 Two Different Stlye of Diamonds studded Rakhi Threads along with Packet of Roli Chawal. 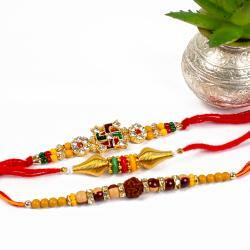 This specially designed Rakhi thread Set will definitely help you surprise your brother wonderfully on this special occasion. This Rakhi set beholds a smooth rakhi thread specially crafted out for your loving brothers designed with a premium stone work, diamond rings and attractive beads. The entire dial of both the rakhi is specially designed for your darling brothers. 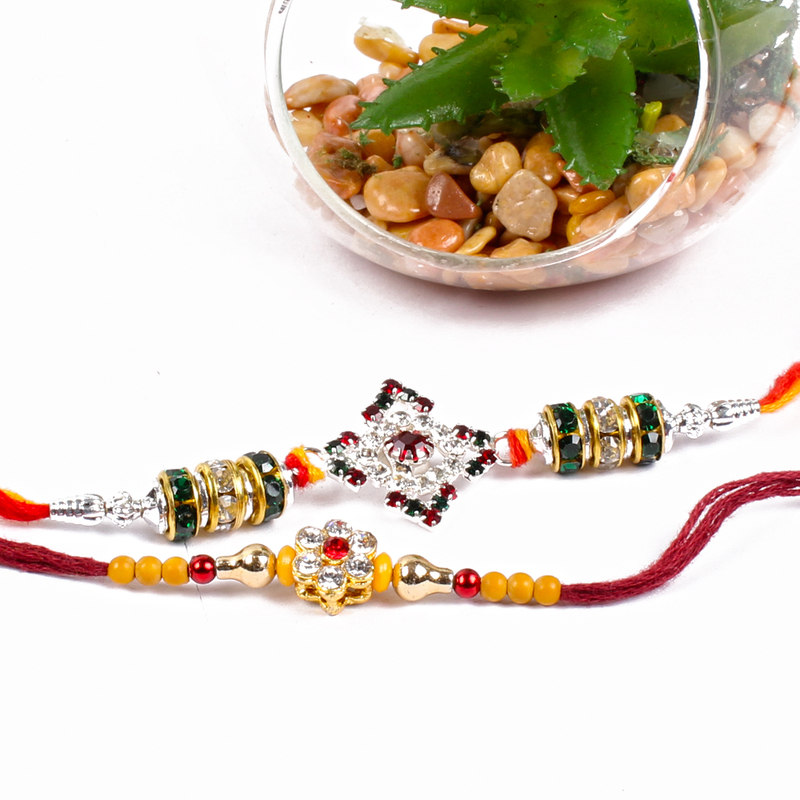 Rakhi has the power to make brother sister relationship stronger year by year and share a beautiful connection. 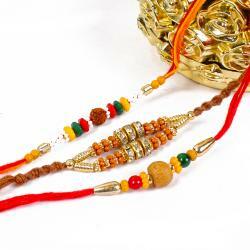 Product Includes : Two Different Stlye of Diamonds studded Rakhi Threads along with Packet of Roli Chawal.